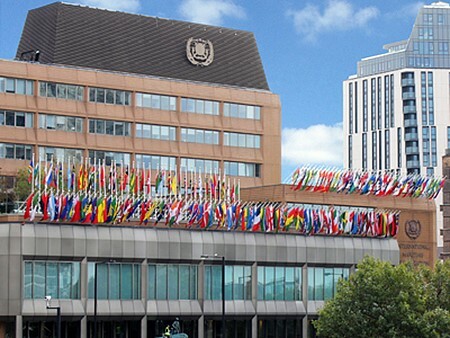 The IMO Council held its 114th Session (C114) from Monday 29 June through Friday 3 July 2015 under the Chairmanship of Mr J Lantz (USA) and his Vice Chair Dr D Ntuli (SOUTH AFRICA). Much of the meeting centred round issues of governance and good practice with agenda items such as Strategy, Planning and Reform, Resource Management, Budget issues, Assembly matters and many others which topics will be of little interest to InterManager members. However, following is a short report which seeks to highlight the areas more directly relevant to our business, and in particular, recommendations made by the major IMO Committees to the Council. an offer by the delegations of MALTA and ITALY, supported by DENMARK, to coordinate an intersessional discussion on a study of the current legal regime and gaps that need to be addressed. In summary, the Council approved the report of LEG102 and will forward it, together with comments and recommendations, to the twenty-ninth regular session of the Assembly which will convene at the end of November 2015.
noted the submission from the MARSHALL ISLANDS calling for a quantifiable reduction target for GHG emissions from international shipping but decided that the priority should remain that of finalising a data collection system in order to determine how best to reduce emissions. an extension to the Great Barrier Reef and Torres Strait PSSA (Particular Sensitive Sea Area. The Council noted the adoption by the Committee of the new mandatory international Code of Safety for Ships using gases or other Low-flashpoint Fuels (IGF Code), also amendments to the 1974 SOLAS Convention together with a mandatory code, the 1978 and 1988 SOLAS Protocols, and the STCW Convention, with expected entry into force date of 1 January 2017.
information provided by the delegation of INDIA on the frequency of piracy attacks east of longitude 65 degrees east of the HRA. expressed concern for innocent seafarers still held in captivity. The Council expressed appreciation to the littoral States of INDONESIA, MALAYSIA and SINGAPORE for the timely implementation of the various components of the Cooperative Mechanism in the Straits of Malacca and Singapore. The Council expressed its appreciation to the Government of SWEDEN for recognising the University as having the power to confer degrees in SWEDEN and noted the appointment of Dr Cleopatra Doumbia-Henry (DOMINICA) as the new President of the University. The Council welcomed efforts by the University’s management to attract additional income. The Council welcomed the Report by the Government Board and reaffirmed continuing support to the Institute, in recognition of its success in maintaining high academic standards in the field of international maritime law. With regard to Budget, council noted the exemplary ‘unqualified’ nature of the most recent audit on the Institute’s financial performance. The Council elected Mr Ki-tack Lim of the REPUBLIC OF KOREA, one of the six nominees, as Secretary-General of IMO for the four-year period from 1 January 2016.